Our easy-to-use, site catalog contains over 10,000 MRO ready to ship today. Our selection include: Garbage Cans, power tools, hand tools, machine tools, industrial equipment, plumbing supplies Material Handling, Pallet Jack, Rinnai water heaters, Industrial Supplies, Storage, Shelving, Carts, Furniture, Workbench, Janitorial, Fans, Heaters, Air Conditioners, Ladders, Pallet Racks, Cabinets, Chairs, Desks, Bins, Containers, Lighting, Lockers, Cleaning Supplies tankless water heater. We ship Free for more than 8,000 items in our catalogue. 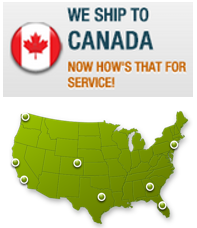 Ten locations across North America speed delivery and minimize freight costs. You get what you need, when you need it, at the lowest cost. MDW Industrial Supply Co. brand products combine the best quality with the best value. Our buyers search worldwide for the finest products available at competitive prices.